On a recent trip back to the UK, I met up with an old friend of mine who works as a lecturer at a university training new primary school teachers. I asked him about learning styles and its place in the current training of teachers, and what struck me about the conversation was not so much his thoughts on the subject, but rather how politically he viewed it. When I say politically, I mean Politics with a big P. His discourse on the the subject was framed within the context of what the current and previous Education Minister was in favour of, government education policy and the current political climate. As someone who works in an education system that is constantly having to reflect, deal with, resist and manage these things, this is quite understandable. For me, as someone who works in a very different educational setting, it was fascinating to observe. Rarely in the world of ELT do we have to face up to these things, it seems. Some of us definitely like to talk and write about what you can call small p politics, whether that’s the topics we can discuss in the classroom, such as the environment, homelessness, consumerism etc*, or the issues that affect our profession, including the situation for non-native teachers, gender, and racial inequality. But from what I’ve observed, whether that’s on blogs, social media, presentations, conversations at conferences and so on, Politics seems to be almost completely absent. The most obvious reason why this is the case is that ELT is a global industry and private language schools are generally quite disconnected from the state system. This is problematic for me because the vast majority of people learning English today are children studying in schools, firmly within a government run education system, and it seems to me that the our profession is over-represented by a minority of teachers, like me, who don’t have to engage in the big P politics. The reasons for this misrepresentation are numerous I’m sure, and I’m not in a position to speculate why, but I can’t help but feel that as a profession we need to engage more with the majority of our colleagues and learn from each other. How this is done is another matter, and I’m not sure what the solutions are. * I’m also assuming that our state school colleagues actually want to be part of it, which may be a big misunderstanding on my part, I really don’t know. What I do know is that unless we widen the scope of our conversation, we will continue to be disconnected from the majority of our peers. Does this sound representative to you? Obviously not every country is the same, and perhaps your situation is quite different. If so, I’d love to hear about it. *For some excellent lesson ideas for some of those small p issues, take a look at the IATEFL Global Issues SIG website. *One possibility is for local teaching associations to make sure that local teachers are aware of them, and at BELTA we are working very hard on this. It’s easier said than done though. 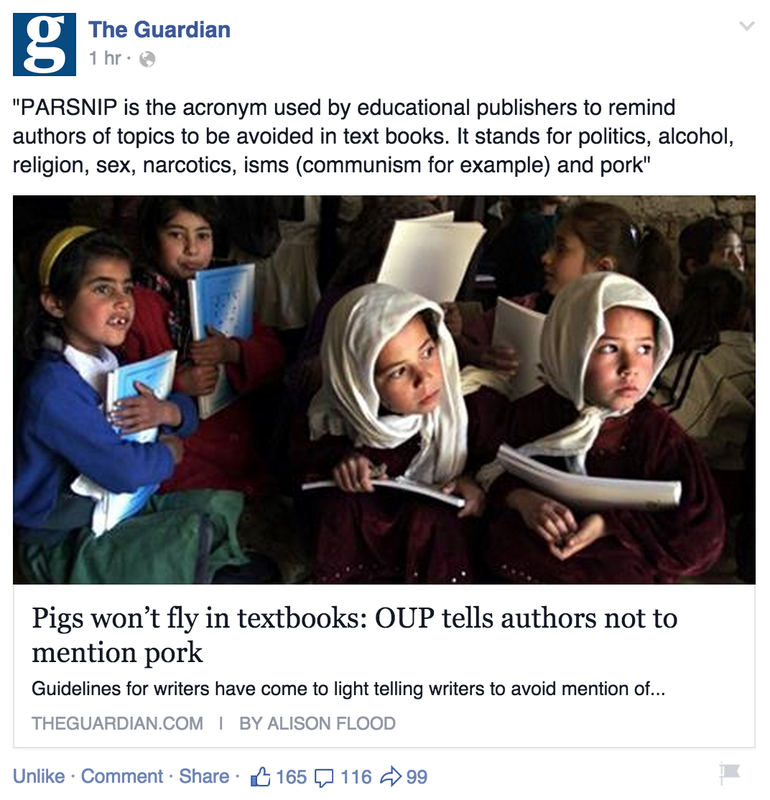 *Just as I was about to post this, the most high profile example of ELT and small p politics I’ve ever seen was posted on the Guardian Facebook page. Thanks To Mike Harrison for pointing out the work of English For Action, who provide ESOL courses for adult migrants in communities across London. An interesting post, James. Actually, I’m a state school teacher but I’ve always considered myself to be part of the global ELT community. Nevertheless, I can clearly sense the implicit dichotomy you’re talking about. Obviously there are some issues that those teaching privately don’t have to deal with (I used to be one of them after all), but why not concentrate on the practical as well as the general aspects of teaching English. It’s not difficult for me to put the politics aside when I’m interacting with my global PLN. It’s a different world and I’m really happy to be part of it. Thanks Hana, I’m glad you’re part of it too! I do feel that teachers like you are underrepresented in the our global conversation – do you think that’s fair? And I’m more than happy to put the politics aside, especially at the moment when they seem to be particularly terrible in the UK, but I wonder if this stops us from fully engaging with the wider world of education. As I said, I’m not sure how you resolve this, but I do think it’s an issue. Your post really kept me thinking, James! Why? Simply because although we, Argentinians, have been living in “Democracy” for thirty years, there are still certain issues that are not considered adequate to be discussed in any class, in any subject, especially in Secondary schools here. Obviously, State schools and some private schools have their own policies. Unfortunately, some of our State and private schools are being politicized, some teachers express their points of views of politics or which political party they support. Nowadays, there is ,of course, much more freedom than before: we really have gone to extremes! Films like “The Wall” or even the rock opera “Tommy” or writers like Julio Cortázar, Edgard Allan Poe, Gabriel García Márquez among others were forbidden during the military government. In my case, I have always worked in the private sector in a nice school, where English is taught as a Foreign language and have had enough freedom to adapt to my course syllabus or include certain global issues in my classes. By the way, Ken Wilson presented some of what I did with one of groups at Harrogate 2014 http://gisig.iatefl.org/event/harrogate-2014/can-global-issues-provide-authenticity-and-context-in-english-teaching-ken-wilson . We certainly HAVE to talk about current events or global issues in our English classes, actually, we have always had for our United Nations Project or by reading the newspaper in English -Buenos Aires Herald- or simply bringing up the issues as an ice-breaker activity, so I do not think ELT is so far from the…should I say Medium P?, not small not Big, as you mentioned above, which is a good thing! However, it is really controversial to talk about politics, especially during these hard times here in Argentina, James, if you are curious about the topic, please do some research on your own, I do not want to go deeper into it, as it can be very compromising. Many teenagers are getting into politics, to the point that a group of my students would refuse to read the news on Voice of America website, among others, because they are against US policies. Funny thing they go on vacation to Disney World almost every year! Hope this answers part of your question! I am Latin, I talk and write too much! Thanks Fabiana, the situation in Argentina is a particularly interesting one. I’m pleased to hear that young people are engaged in politics, it must make conversations with them very interesting. I understand the sensitivity that you feel about going into more detail, but does this apply when you are talking to your colleagues? Do you have discussions about government education policies or is that still taboo? My pleasure, James! Thanks for your reply! Well, to tell you the truth, we do not have much time to talk about politics with my colleagues, but still, there is no problem at all if we do!. Many people and also teachers are into politics and have a point when they discuss about it, they tell you who they support or who they do not like, it has always been like that. If only you could watch some Argentinian tv stations (I am sure Televisión Pública is on Direct TV) you will see tons of shows where they discuss the political and economic situation. Argentinians are good thinkers not doers, everybody likes to talk and give their opinion on anything, even if they no nothing about it!. Going back to the situation at school, I mean in class, we can talk about politics in general, as there is no “formal” restriction. We do not do politics in class, as we consider it not ethical, you know, if they asked who I voted for during the last elections, I will not tell them, but it is something I like to do. Do you know who make our students reflect? Our Social Studies or Literature teachers/Professors, whom I admire a lot , especially in my school, it is the way they bring about topics for discussion, and then we can do the same in the EFL class. In this way it is much easier for me to have discussions. I really enjoy to listen to my students´ opinions and they are generally really open to talk and express themselves, also because their level of English is high (some are C2). I obviously can give you my analysis because I lived abroad enough time to become almost a foreigner in my own country and see things from a different point of view. Thank you Fabiana for this detailed description – it’s very interesting. I’d venture to say that a lot of us aren’t with learners long enough to feel comfortable talking about Politics with them. Another spot may be that our learners simply aren’t interested in the Politics of their host country (I fall in to this category). For those others who teach immigrants who stay and would have a vested interest in more local Politics, we’re often either not knowledgable enough ourselves to do the topic justice, or we’re inundated with the safety of neutrality encouraged by teacher training programs. This is not to say that any of these obstacles can’t/shouldn’t be overcome in the ELT classroom. If, however, you’re talking about Politics in the ‘office politics’ sense, then I don’t know. Too complex? They’re all good reasons, Tyson, especially in an ESL setting. For me in an EFL classroom, it’s much easier. I can play the naive outsider who doesn’t have a opinion and just ask careful questions. I did some of this around the time of the last election here in Costa Rica. The smaller class size you have the easier it is too. But as someone who works in a university, do you discuss education policies with your colleagues? It must affect you directly on some level. Yes, we discuss the politics of the university often enough among teachers, but not in class so much. the main-stream teaching world is so political isn’t it? I don’t know if you follow Andrew Old or Harry Webb. You get the sense it’s really divisive at times. learning styles is a good examples because so-called ‘progressives’ see the rejection of learning styles as not just a rejection of a flawed model, but as a rejection of student individuality, learner-centredness, and creativity in teaching. I don’t know either of those people, Russ, and my conversation with my friend showed me how completely disconnected I am from that world. I’m not too upset about that, to be honest, but as I said in the post, I think without it ELT will always be a bit ‘ghettoised’ within education. Is it that odd that these issues don’t make it to the global ELT ‘scene’? They’re not really good fodder for talks at conferences, articles in teaching magazines, or blogs, maybe. Not when we’re busy looking for good ideas and activities to use in our lessons. You’re right that EFL’s disconnect from mainstream education, or at least in some circles, could have negative effects. Isn’t it weird though, that big P Politics be so absent from EFL discourse that we see? Even if the published luminaries are cut from a similar cloth (that is, not really engaged with these issues), they don’t make up the majority of English teachers around the world. Nor do native speakers. The biggest group of teachers is surely those teaching in schools in their own country, in their own educational system. But how do we hear from them. There are some actively blogging, tweeting, etc. but how do we shine a light on them and give them a voice? Should we? I’d argue very much so that we should. Having worked in the public sector in the uk I’ve certainly seen my share of the Political. It’s a shame that mainstream EFL is at times only interested in more superficial matters. I’d also argue that for anyone in EFL for the long-term, it would benefit them greatly to get to know more about these issues. Thanks Mike, I’m in complete agreement with you here. Maybe I’m missing something, but I don’t think it’s that odd that political issues are rarely discussed in the global ELT community. A lot of these are country-specific and while they may be interesting to read about, I wonder how motivated teachers from other countries would be to join in a discussion. Let me see if I can come up with an example. Russ said above that the mainstream teaching world is very political. I suppose he’s referring to the mainstream teaching world in the UK (maybe also in Japan)? In any case, I used to come across tweets (usually rt’d by someone I follow) passionately criticizing Michael Gove and his policies. First, I had to google Mr Gove because I had no idea who he was (digression: I did this again today and discovered why he no longer appears in education-related tweets! ), and then my thinking was something along the lines of – okay, what Mr Gove is making UK teachers do (or not do) is most likely interesting, but how relevant is it to me? I would have to invest a lot of effort to fully comprehend what is being criticized and the background to this, and I’m not sure that what I wold bring to the discussion would be of any relevance (or even interest) to UK teachers. I may, of course, be entirely wrong. Or from a slightly different perspective. I’m Croatian and live in Belgium. I can’t speak about the Belgian education system, but over the past couple of years in Croatia there have been two issues that would fit into the category of politics with a big P (meaning almost everyone in the country has weighed in on the discussion, not just those in the educational sector). One is the introduction of civic education into the primary and secondary curriculum. Now this is a subject that practically guarantees a spirited discussion with any Croatian citizen. But the average Croatian teacher, of any subject, including English, is most likely not going to see much of a point in engaging in this discussion in English. If they’re talking to other Croatians, they’ll do it in Croatian. If they’re talking to non-Croatians…actually, I’m not sure they would see much point in discussing it in with someone who is not Croatian. They would probably think that anyone who isn’t Croatian is unlikely to be familiar with the whole situation and would probably assume they weren’t even interested. But I can’t presume to speak for all Croatians, so at the end of the day these are just my thoughts on the subject. Thanks Vedrana, and don’t worry it makes perfect sense! I take your points about the absence of political discussion, and I don’t really have a response as I’m not sure what form I expect the discussion to take. I guess what I’m trying to say with this post is not so much “the EFL world should discuss Politics more”, it’s more “isn’t it strange that the EFL world doesn’t discuss Politics?”. When was the last time you saw someone write about the Political situation for teachers in their country on their blog, for example? This is both an earnest and courageous post. It surely touches on important issues in some countries and EFL/ELT contexts, but I agree with Fabiana Casella. Argentina and Brazil share unfortunate, similar stories, and as Fabiana points out, “we have gone to extremes” after a long silent period under Military rule both in Argentina and in Brazil. I was a school girl during almost two decades under military rule in Brazil and I clearly remember some teachers trying to discuss Politics with us. Some of my teachers had been kept in captivity in the torture chambers of the Military prisons. They spoke passionately about the urgenc need to shift our interest towards Politics. As 7th graders, though, we were more interested in TV and shopping, so we didn’t grasp what was going on. Watching movies that had been previously cut and re-edited by our Department of Censorship was just as normal as not wondering why we never got to choose our President. Only by the mid 90s did I see young people’s interest in politics reemerge, and only then did young people start talking about Politics at home, in class, or anywhere they felt like doing it. It was a big shift for us Brazilians. So,today’s scenario is quite different. Last year’s Presidential elections caused a turmoil in social networks. People argued passionately and fiercely about Politics. The last two years have also been marked by protests that took over the streets of Rio and other capitals, in which teachers were directly involved. As you can see, this has been a major shift in the Brazilian scenario. You can see 13-year-olds openly expressing their political views in social media and teachers and students involved in class projects about Politics. When about 300 Public sector teachers marched in in front of my school, I stopped my class and we immediately started a debate about it. It’s impossible to ignore life beyond our classrooms. Today, federally funded schools, for example, are highly politicized here in Brazil, especially the ones run by Federal and State Universities. Not only are some public sector teachers highly committed to their unions and political parties, but they also make sure their students get involved in school policies. Strikes are quite common for state schools, so teachers want their students to be supportive of their rights to go on strikes even if it means steering away from the true meaning of education and depriving their students from classes during one, two, even three months in a row. 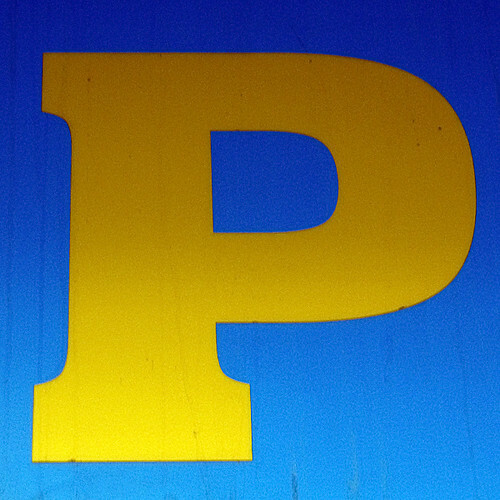 As you can see, the big P is often present in most schools. However, as good as it seems, I’m very cautious when it comes to discussing the big P politics in schools, as Fabiana points out .We all know too well how easily charismatic teachers can influence young minds. We’ve been ruled by the Workers Party since 2003 and we’ve been exposed to a great amount of government propaganda for generations now and it’s now spilling in classrooms across the country leading younger people to strong Anti-Americanism feelings and sympathy towards Socialist regimes such as Cuba’s. I believe that most people — including public sector teachers, have a romanticized view of life in socialist countries due to the heavy propaganda imposed on us in the past years. We’re now a divided nation: blacks vs whites, the rich vs the poor, the Workers’ Party supporters vs the right-wing party supporters; middle class vs the poor, and you name it. Because of this heavily biased discourse, I think that discussing Politics in the classroom can be a double-edged sword. Some teachers can sell their ideas better than others, and they might be no less than our government’s propaganda. What we need to discuss in our classes much more than Politics alone is Ethics with a big E. We’re in a sea of mud in our country. Two massive corruption cases involving the government in the past two years have shaken our economy. Corruption is our main issue here in Brazil, so if we get to debate on this with our students, I believe we’ll be promoting bigger changes because we will then reach the core of our moral values, which have been distorted over the years. Most of our politicians are no good example for our students, unfortunately. EFL materials may be Politics free but there has to be some room in EFL classes for discussions about what’s right and what’s wrong. Regardless of whether we teach in the private or the public sector,or in Brazil or elsewhere, it’s our duty to discuss what’s best for our society and give our students a voice. We need to encourage our students to express their views and to accept and reflect on different opinions. Good teachers are naturally curious and they’re very good at sharing knowledge and experiences, so I believe that the only path to freedom and ethics is the path of knowledge and respect towards others. Thanks Teresa for this really insightful and interesting comment that really deserves a blog post of its own. When I lived in Brazil, it amazed me how passive people were and how they would just accept outrageous acts of political corruption with a shrug. I was delighted a couple of years ago when Brazil seemed to wake up and get on the streets. In the long run Brazil will be a much better country because of it, but it will take a long time because there’s a lot of work to catch up on. And I’m very pleased to hear this is filtering down into the classroom, as it must. Thanks for your reply.Unfortunately, the crowds are quiet now and more and more scandals have emerged, unfortunately. However, I have high expectations for our future generations, as they’re now beginning to have their voices heard and are more exposed to our political scenario. In the diffusion of political discourses and propaganda, education is the most powerful tool for us to become better voters and better policy makers. Having a discussion with a friend of mine about titles and names. A quick question is all I have! “James the teacher” or “The teacher James” – Which one is correct? Both ? Thanks Tobas. I think they’re both possible, it depends on the context. In “The school board and James the teacher” the emphasis is on James, so it seems like the person may know this James but not realise he’s a teacher, or maybe more than one James, one of whom is a teacher. In “The school board and the teacher James” it seems like the opposite, so instead the use of James is emphasising which teacher it is. By the way, I’m called the “The Teacher James” because my Korea students always used to call me teacher, and when I asked them to call me James, they started calling me ‘teacher James’! As someone who works for the British Council presently in Jordan and previously in Egypt, I think about the question of Politics a lot and I read your post and all the replies with great interest. It seems to me that Politics is too much of an umbrella term and in the discussion we are having is being used with two very different meanings. Firstly by Politics we understand the relationships between the different groups who have power or who want to have power in society and the role of democracy in shaping those relationships. This is or should be of interest to all students and teachers but governments and those who have power do not always welcome, encourage or accept discussion of such topics and many educational institutions in many countries would strongly discourage teachers from engaging in such discussions. Secondly what about the Politics of our profession, the role of Ministers and Ministries of Education, and how a country’s educational system is organized? What about the relationship between the public and private sector in education? English is a global language and organisations such as the British Council are in many countries. What is the political role of our profession? Is there such a thing as linguistic imperialism? Your discussion began by referring to this second topic in the UK. This is fascinating to us as teachers but might be of much less interest to most of our students. So I think you’ve been mixing things up a bit. To answer your question: my own opinion is that many of us avoid Politics because we don’t want to put our jobs at risk! As someone who is of a certain age (i.e 61) I am sick and tired of the topic anyway. Egypt, as you can imagine, was a real disappointment. It was astonishing to see how easily people could be manipulated via TV to support the status quo in the name of progress. As teachers I think all of us need to help our students to learn to think for themselves, to think critically.It’s the only way to learn English anyway. We don’t need to talk about Politics with a capital P to do that. Even teaching them useful study skills or to look at their textbooks critically contributes to this. I think our work is eminently and inevitably political but I try to be elegant about challenging the powers that be head-on. Thank you David. You’re absolutely right to say that Politics is a complex matter, and can be interpreted in a number of ways. My post was really about why there is such an absence of it from the ELT world, and if that was potentially harmful for us, but as you explain, there are many good reasons why it doesn’t happen. Unfortunately not everyone is fortunate enough to live in a truly free and fair society, just for starters. And when it comes to the classroom, the elegance you describe is vital in challenging your students and developing their critical skills when using political subjects. It’s what I try to do too. Very thought provoking post, so relevant. I enjoyed reading the reactions on your blog as well. Thank you all for that! As you know, I teach English in a Belgian secondary school- (students age 17-18-19). In our system we follow a subject based curriculum but cross curriculum goals have to be attained too. These involve critical thinking, empathy, respect (for others, other cultures, other ideas…), media understanding, developing an open and constructive attitude, amongst others. Political topics fit in nicely here. And I do not shy away from dealing with them in class. Apart from offering a strong communicative opportunity in a language class, they add to a genuine, authentic and integrated way of learning. In Belgium we have newspapers in English so we can talk about our news using English resources. Thanks for sharing Eef, it’s very interesting to read about your classroom, especially in the light of recent events. I stay away from politics in the classroom. I teach in a state run high-school and have taught courses for adults in a private establishment here in Israel. My adult classes included students who were Jewish, Moslem and Christians. At school, due to the fact that I’m a Special Ed teacher, my classes are more diverse than what is usually found in a state run school. I have taught not only Jewish. Moslem and Christian students, but secular and Orthodox Jews, Jehovah Witnesses and even a Samaritan (they still exist, you know). Thanks Naomi, that’s quite understandable, given the situation you describe. Thanks for sharing.